For The Love of Wine (wine corks 2016). January 1st, 2017. 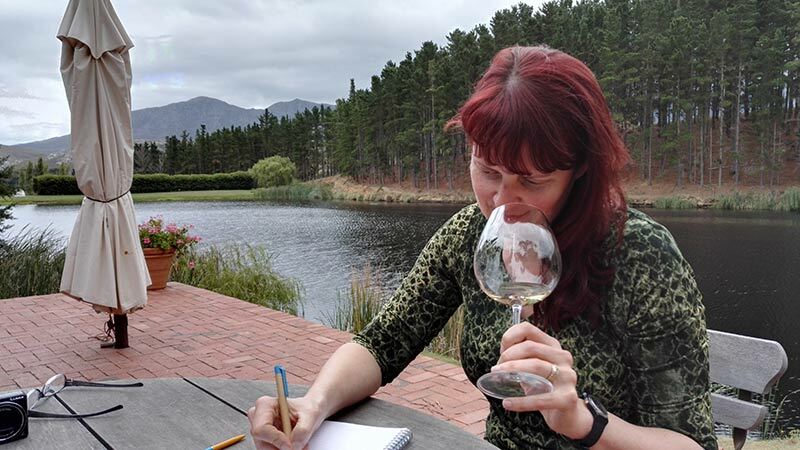 2016 has been a bad year for celebrities, but a good one here at Wine & Words, with developing the business, launching the blog, a series of well-received wine classes and workshops, and a lot of interesting travels to countries near and far. On a more personal level, Mr. K & I have persevered in our low-carb lifestyle (and might have inspired a few people dear to us to give it a shot as well), we finally got ourselves a sous-vide/water bath cooker and have gone overboard exploring its possibilities, and above everything: we got to taste plenty of unforgettable wines, as (rather painfully) illustrated by our 2016 cork collection in the picture above. 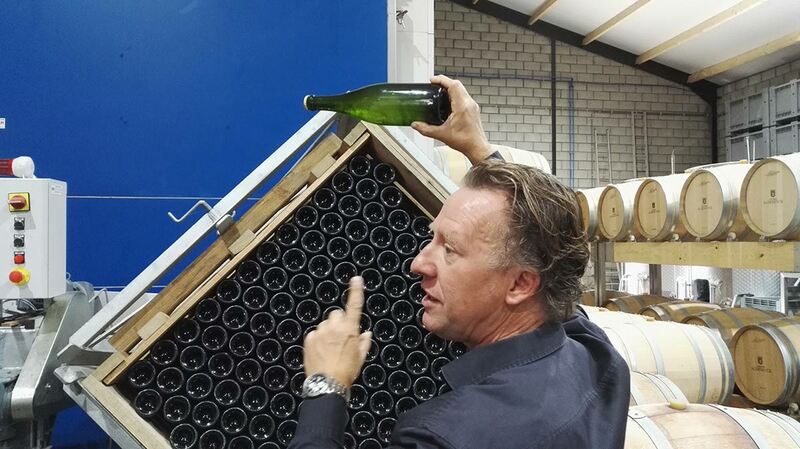 Karel Henckens of Wijndomein Aldeneyck, Maasvallei, Belgium, showing the lees in his delicious Pinot Brut. September 2016. Sparkling wines are no longer considered to be just an aperitif or celebratory drink. More and more they’re seen as real wines and worthy meal partners, which can hold their own from starters all the way to cheese boards and desserts. Vivid acidity and freshness are prerequisites for a good bubbly, and that’s exactly what cold- and cool-climate sparkling wines can provide. Champagne (from Champagne) is a gift from the gods and here to stay, but I am also looking at sparklers from other countries and regions at the fringes of our winemaking climates, such as sparkling wines from Belgium and the UK, Sekt from Germany and Austria, or the French Crémants from the Jura and the Loire Valley. Outside of Europe, regions to watch are Australia’s Tasmania; New Zealand’s Central Otago; Washington State, Oregon and Finger Lakes in the US and – last but not least – British Columbia, Ontario and Nova Scotia in Canada. Most countries in Central and Eastern Europe have hundreds of years of winemaking history, some even thousands. Yet many of their wines are hardly known – or hard to find – outside the country’s or continent’s borders. Of the many millions of wine lovers worldwide, how many have tasted the elegant Robola or Assyrtiko wines from Greece; the surprisingly refreshing Xynisteri from Cyprus; a Bulgarian Misket; dry wines of Hungary’s Furmint, Hárslevelű or Juhfark varieties; or Switzerland’s deliciously complex Petite Arvine and Païen aka Heida aka Savagnin Blanc? Well, that is going to change, because the quality of these wines is unmistakable, and a growing number of well-informed wine consumers are looking for off-the-beaten-track wines that are both novel and authentic. As a bonus: more and more wineries and travel organisations are offering attractive wine tourism packages in the scenic vineyard landscape of this beautiful part of the world. And don’t forget about the many great red wines here, from grape varieties such as Zweigelt, Blaufränkisch aka Kékfrankos aka Lemberger, Früh- and Spätburgunder, Kadarka, Agiorgitiko, Xinomavro, Garanoir and many others. Wine tasting flight at Domaine Berthet-Bondet. Jura, France, July 2016. It is no secret that I love the white wines of the Jura. But what many people don’t know is that these dry, oxidative wines make amazing food partners. The same is true for vin jaune and dry sherries. These wines combine a number of characteristics that make them a great match for many savoury dishes: they’re usually bone dry, have great acidity, a pleasant round mouthfeel, and spicy, mineral, nutty and saline touches that not only go well with cheeses such as Parmesan and Comté, but also with a wide range of fish, shellfish and white meats, pure and simple – or with oriental spices or cream sauces. They’re exciting wines, perfect to experiment with in the kitchen and at the dinner table. Try them with oysters, lobster, puff-pastry canapés, spicy Indian curries, poultry and lemon, creamy chicken or veal stews, cheese-baked oven dishes, vitello tonnato, anchovy-based sauces, mushrooms or mixed cheese platters. And don’t underestimate the magical vin jaune or amontillado and oloroso sherries as a low-sugar after-dinner drink. 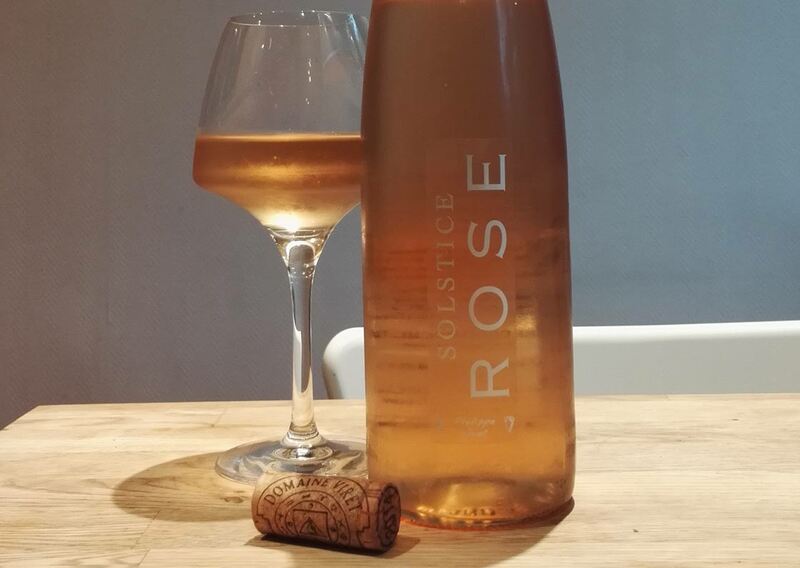 Domaine Viret rosé ‘Solstice’. June 2015. Like 2016, 2017 is going to be another Year of Rosé. The average quality of rosé wines has been increasing for years, and many are now miles away from the cheap, bland, sweetish plonk that used to flood our supermarket shelves. Dry rosés are claiming the respect they’re due as quality wines and versatile food partners. 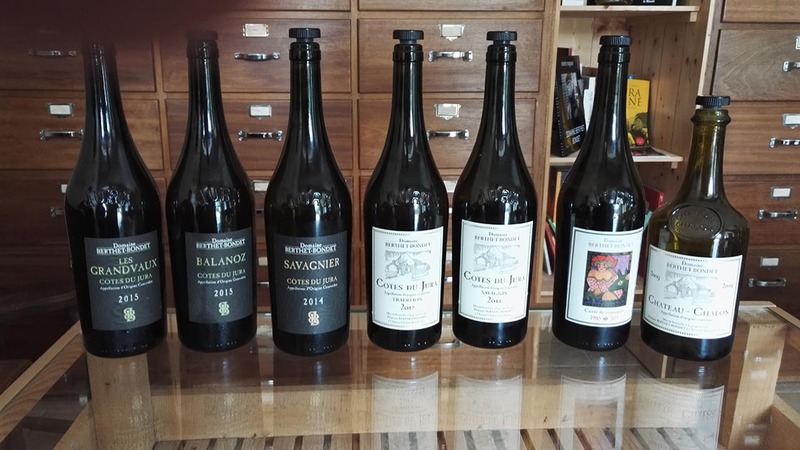 They often present great value and they come in a range of styles: from delicate and refreshing to intense, spicy and herbaceous, close to fine red wines in colour as well as flavour profile. I often recommend a good rosé for tapas or mezze lunches, or if you want to get just one bottle to accompany different courses. Well chilled, at the beginning of your meal, it will appear more like a white wine and match with lighter starters, while by the time you’re ready for mains, it will be a few degrees warmer and can take on the role of a light red. Wine consumers have never been more informed, the choice in wines is bigger than ever, and millennials, currently the biggest wine-consuming generation, care about what they eat and drink. We are spoilt for choice, so a wine has to stand out in order to catch our interest, and preferably reflect our personal values and the image we are presenting to the outside world. Hamilton Russell Vineyards, Hemel-en-Aarde Valley, South Africa, February 2016. A few factors are playing into this trend. 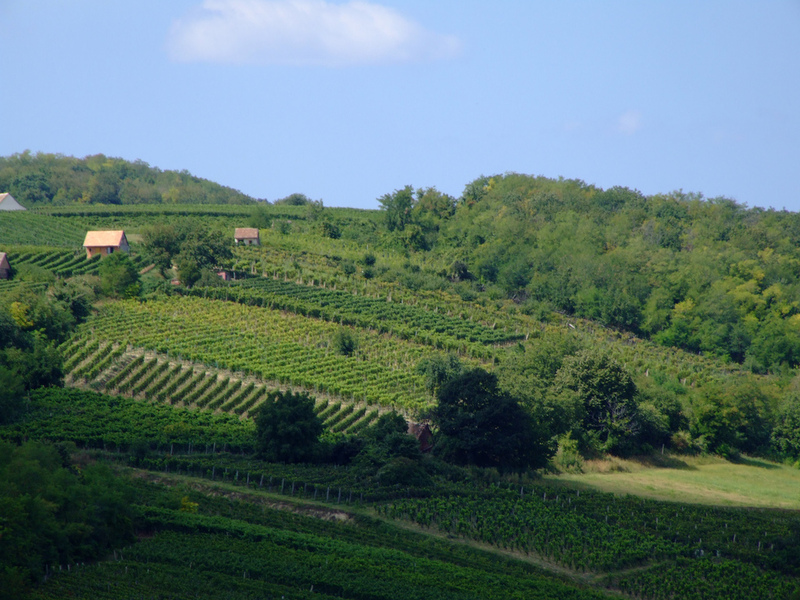 First of all: the growing wine tourism opportunities in countries near and far. Many wineries are offering good-quality tours, on-site restaurants and memorable tasting experiences in an authentic, rustic, elegant or picturesque setting. This is where we get to know the winery and some of the people involved, and where their wines truly become part of our own personal storyline. Secondly, the fact that we are ‘drinking in’ more often than ‘drinking out’, buying bottles at the winery, online, in specialised wine shops or supermarkets. Rather than going out to a restaurant, pub or bar, we drink our own bottles at home with a meal, friends and family (or a good book). As a result, the wine we drink – or bring as a gift – becomes a symbol of our quality of life, an experience in itself, and therefore part of our personal story. And we often don’t mind paying a little bit extra for something which has that kind of value. Taking all that into account, I declare that 2017 will be the year of “Wines with a Story” and of the “Wineries that Dare and Care”. The year of the rebel winemakers, of the rock ‘n’ roll wines with catchy names and labels, of the little-known great-quality producers, the young local wineries and the family businesses where the new generations of well-trained oenologists and viticulturalists are transforming the (sometimes centuries old) traditions. The year in which organic, biodynamic and natural wines will continue to expand their territory into mainstream wine culture. And the year in which winemakers all over the world proudly tell their story and share their unique identity with us, in words as well as wines. Thanks, Kara. 🙂 Interesting article!